FOR THE first time in 400 years, sensible people are saying some very dangerous things. Theologians are discussing the origins of the physical universe, the beauty of the fundamental laws of physics and the wonder of the complexity of nature. Scientists, too, are discussing what they suggest may be a sense of purpose behind the universe and questioning why those laws of nature should be exactly the way they are and why they give rise to those wondrous complexities. This year, a flurry of new books has been published, written by eminent scientists and with the word “God” in the title. 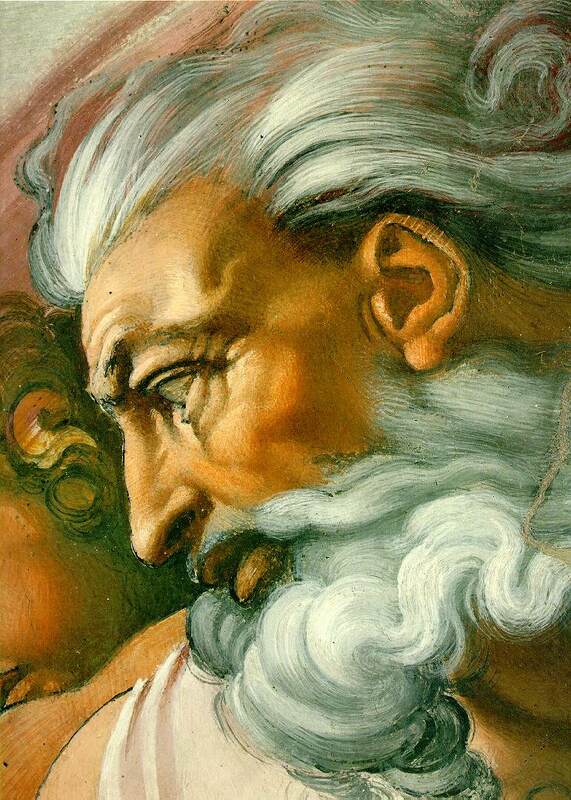 It may be that this is in part due to pressure from publishers – “God” sells well – but it also represents a profound change of attitude since, until recently, few scientists who value their reputations would have risked the G-word even in private. That scientific books invoking God should sell well is also a reflection on the rest of us. Society seems to be searching for something which neither religion nor conventional science on its own has been able to deliver. Science and religion began to go their separate ways in the Renaissance. The process continued when Galileo and Descartes started to ponder on the nature of the universe. To do so, they had to stray into the territory traditionally the exclusive domain of the church and, in Europe in the first half of the 17th century, the church was powerful indeed. Those who offended it too loudly or too fundamentally could burn in a hell that was very much on earth. So it was out of an instinct of self-preservation that Galileo divided the world into two. He said that there are primary qualities that are external and objective, such as temperature, wavelength, hardness and so on, and secondary qualities that are subjective, such as the sensations of heat, colour and pain. Thus he gave the primary qualities to science in comparative safety and left the secondary qualities to the church: on these he said, I am silent. This was developed by Descartes into what we now know as Cartesian duality. Mind was declared separate from matter; God separate from the universe; our souls separate from our bodies. In this model God was the ultimate scientist, tinkering with nature yet apart from it. It also helped the scientist to feel a little like God. This God was a very male god, an engineer keeping the great machine of planets, stars and atoms whirling its well-oiled, pre-ordained way through the cosmos. He ruled with strength and firmness, very different from the more feminine nature spirits of some of the mystical traditions that had preceded Christianity. He was the sort of god who suited scientists and suited rulers out to build empires and fight battles in His name. Science has lived with this dualistic legacy ever since, and so has the church. With the church confined to the subjective and divine worlds, the existence of God became a question of belief that could never be proved or disproved. Science, on the other hand, had the whole universe to play with and proceeded systematically to define it all in terms of primary qualities, forcing God into an ever tighter corner. Such a god is often referred to as the god of the gaps. Ancient peoples imagined God’s anger in a thunderstorm because they could not explain thunder and lightning. Sun-worshippers believed the sun to be divine because they could explain it no other way. Science today feels it has explained the planets and thunder, the nature of matter, and the fundamental laws that control its behaviour. Even the need to invoke God to explain how the universe began in the first place is becoming tenuous. Science has become so strong that many scientists feel they have no need of a god at all. The purpose of dualism has gone full circle and instead of protecting science from a strong church, it now threatens to marginalise religion in the face of invincible science. Many scientists seem quite happy with this state of affairs, and the majority of ministers of religion appear to be happy and continue to preach about a dualistic god of the secondary qualities to their dwindling congregations. But there are some who are not happy with it. They are the people who are buying books on mystical traditions or science books with God in the title. The problem comes to a head in cosmology where it is hard to explain what happened in the early universe without asking why. It also crops up in the study of our internal, psychological world and in particular in the study of consciousness. Reductionist scientists hover like vultures around this last refuge of the secondary qualities of mind, seeking explanations through physical brain function. Daniel Dennett, with his bold title Consciousness Explained, and Francis Crick in The Astonishing Hypothesis feel that they have achieved this in all but detail. Others are not so sure. However much you correlate brain function with sensations, thought patterns and so on, all you find is brain function. You never find subjective experience in itself. To the atheists this is mere pedantry but it is on this issue, the so-called hard problem of consciousness, that numerous conferences and publications are based. The issue which is still the most divisive is that of the locality of the mind. If, as the atheists believe, it is entirely rooted in physical brain function, then they feel they can forget about the secondary qualities, the spirit and the soul, for good. The slightest proof of the non-locality of mind, be it from near-death experiences or ESP experiments, and the whole applecart of reductionism is overturned. That is why the few who conduct such experiments properly are often ignored by sceptics and why so many believers seek proof through rather inconclusive tests. Attempts by objective scientists not to colour their understanding of the universe with personal prejudice have meant that they have always left themselves out of the picture. If people are to be found in the universe of science, they are restricted to the small corner of it occupied by their physical bodies. If people are to be denied a consciousness extending out into the fabric of the universe, then science cannot allow there to be a consciousness “out there” in the universe either. An increasing number of scientists, particularly cosmologists, are beginning to admit that this view seems wrong. The most revolutionary move in this direction has been the development of what is known as the anthropic principle – a cosmological principle that looks at the place of humanity within the universe. In its simplest, or “weak”, form, the anthropic principle emphasises what a mind-boggling coincidence it is that we are here at all. If the fundamental constants of physics did not have the precise values they do, the universe would be either too small and too hot, or too big and too cold for life. Carbon and oxygen would not form in stars and be released into the nebulae out of which planets could form and life could arise. That we are here at all must mean one of two things: either our universe is just one of many, the only one in which everything worked out just right, or those universal constants were designed to lead to a conscious life. The writer Douglas Adams attempts to parody this idea with what he calls “puddle theory”: how, each time it rains, the puddles that form are completely amazed by the coincidence that there should be holes in the ground exactly the same shape as they are. But for many scientists this misses the point: that life will only fit into one shape of hole – the one we have got. It is a tribute to the power of science that we have come to discover just how fine-tuned the universe is. It almost seems as if nature has written laws of mathematics and physics in a form that we understand. The Oxford mathematician David Deutch suggests that the understandability of the universe is itself either a fantastic coincidence or there is some deep reason why it had to be that way. If it had to be that way, he says, then we, in being able to understand its laws, occupy a very special place in the universe indeed. That is sometimes referred to as the strong anthropic principle. It says that the universe must give rise to intelligent life. Yet more daring are the implications of the participatory anthropic principle: that intelligent life, including human life, is the very means by which the universe is created. That apparent blasphemy arises out of the principles of quantum physics. Quantum systems create waves or particles with inherent uncertainty. There are situations where a single atomic process can produce, for example, two photons of light with opposite polarisations. Under quantum theory they remain part of the same mathematical equation and in an indeterminate state until the polarisation of one of the photons is observed. But the moment one photon is observed, the polarisation of the other becomes fixed. There has been no communication between the two, yet, by observing one, we are influencing the atomic process which produced both. If that process holds true within a laboratory then it must also hold true across the scale of the universe. It is possible to imagine such an atomic process taking place in a distant galaxy and the photons taking billions of years to reach us. We would thus be influencing processes within that galaxy by pointing our telescope at it. It is arguable that an observer, be it a mouse, an astronomer or even a computerised detection system, could have the same effect. In some real sense the act of observation is a creative one. That leads to the greatest heresy of all, the final anthropic principle. If the universe is dependent on conscious observers deducing knowledge of it for its very existence, then knowledge and consciousness must come to pervade the entire universe, for without its place in consciousness nothing in the universe can have existence. Scientists such as the US physicist Frank Tippler, who have proposed this, provoke extreme reactions among their peers. Yet all they are saying is what mystical religions have been saying for centuries – that the universe is held in consciousness. Another outspoken critic of attempts to bring God into science is Professor Richard Dawkins, also a biologist, from Oxford. The title of his book The Blind Watchmaker turns on its head the assertion of the 18th-century English theologian William Paley, who stated that the likelihood of the intricate structure of the world being the result of chance is comparable to the suggestion that a watch might have been assembled by random causes. In the book, Dawkins uses his knowledge of modern genetics and evolution to show how complex structures in nature, such as the eye, might have come about solely by random variations guided by Darwinian natural selection. Science, just like any other profession, has its complement of those who, privately or publicly, hold religious beliefs. Historically, when most scientists were amateurs, clergymen were some of the few with the time, education and means to practise it. Even the great Sir Isaac Newton considered his theological works to be of equal importance to his scientific ones. Today there are many professional scientists who, in private, are practising Christians or of other faiths. There are others who hold professional qualifications in both spheres. As an Anglican clergyman, Polkinghorne accepts the totality of Christian belief. He feels that scientists such as Paul Davies, who search for deeper meaning in the universe without the aid of religion, are taking significant steps but will only ever paint a thin and impersonal picture of God. For Polkinghorne, personal religious experience plays an essential part. Another Christian physicist, Professor Russell Stannard of the Open University, agrees. He suggests that most of the references to “God” in recent popular science books and even by Einstein do not refer to a deity but to the fundamental laws of nature. Such a god of physics, he says, is cold and unresponsive to prayer – perhaps a bit like an objective scientist. Russell Stannard agrees that a central issue is that of the origin of the universe. While he does not underestimate the power of science to describe what must have happened in the first fraction of a second, as theoreticians run the clock backwards through that first second, all the scientific criteria break down. The mathematical equations start producing values of infinity and raise metaphysical questions that science cannot touch. The laws of quantum physics, he agrees, allow for the possibility of a random fluctuation in the nothingness of no time to give rise to the universe. But, he asks, why leave quantum physics in charge of the universe. Where did the laws come from? Could it not be God? Paul Davies is a British-born mathematical physicist who’s now Professor of Physics and Natural Philosophy at the University of Adelaide. He has written many popular books on physics and cosmology as well as highly regarded textbooks. God and the New Physics and The Mind of God set the recent trend to put the deity in a science book title. They also attracted the attention of the Templeton Foundation, a charitable trust for the advancement of religion, and resulted in Davies being awarded the 1995 Temple-ton Prize for Progress in Religion, worth $1m. Previous recipients have included Mother Teresa and Billy Graham, yet Paul Davies says he is not religious in any conventional sense. He does not go to church, read the Bible or pray. But he is deeply interested in the profound issues of existence such as the nature of time, consciousness and the origin of the universe, which for centuries have been the province of theology. He feels that science can not only inform theology but can develop its own framework of ideas that will eventually cater for the spiritual requirements of people in a way that traditional religions are failing to do. Central to Paul Davies’s ideas is the sense of purpose he sees in the universe and our place within it: “I find it very hard to accept that our existence in the world is something that just happens to be. It seems to me that the fact that the universe is self-aware is something that’s written into the laws of nature. We are here as part of the action and not just for the ride.” Paul Davies is keen to point out that the Templeton Prize is for progress in religion; in order to be able to make progress, this suggests to him, religion does not have all the answers. Science too should be progressive and not dogmatic, he says. Scientists must always be prepared to change their minds in the light of new evidence; that is the power, not weakness, of science. Such an approach brings a sense of humility that tells us we do not yet have all the answers, nor are we not necessarily the pinnacle of creation. Dr Peter Fenwick of the Institute of Psychiatry in London has investigated the links between brain function and transcendental experience. With the latest scientific tools for scanning the living brain and even recording electrical activity as individual thoughts pass between brain centres, he is able to see how different heightened experiences and emotions are localised in different parts of our minds. But he also finds things that he cannot explain. For example, people who have been pronounced clinically dead but are then resuscitated often seem to experience a sensation of travelling down a tunnel towards a bright light and a deep sense of love. Is this simply the brain being starved of oxygen or does it reflect some other reality? Sometimes, under such circumstances, patients report seeming to float above their bodies. Evidence that this was really the case would transcend science: it would imply that mind was not localised solely in the brain. Evidence for phenomena such as telepathy would do the same. That would open up to science concepts such as the spirit or the soul that have previously been firmly in the realm of religion. Peter Fenwick is very cautious in interpreting evidence so far, but he is a leader in the growing body of scientists who feel that there is something here worthy of serious investigation. ! I happen to agree with dear old Al Einstein. For him God was not a problem, but a personal god was.